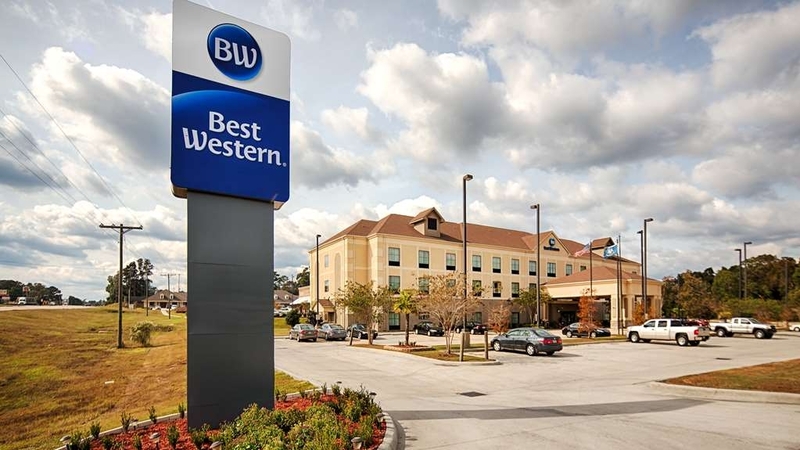 El Best Western St. Francisville Hotel se encuentra en el centro de Saint Francisville. Venga y disfrute de las mejores atracciónes turísticas cerca de nuestro hotel. Precios bajos garantizados y ofertas exclusivas. Los hoteles de Saint Francisville, Luisiana, son ampliamente conocidos por proporcionar la cálida hospitalidad sureña y por estar situados a poca distancia de atracciones como la plantación Myrtle's y la plantación Rosedown. En Saint Francisville, Luisiana, los hoteles gozan de una fantástica ubicación en una histórica ciudad con numerosas tiendas de antigüedades y negocios locales. La proximidad del rodeo estatal de Luisiana en Angola, celebrado en abril y octubre, le permitirá disfrutar de un cómodo acceso en auto desde nuestro hotel de Saint Francisville. Tanto si desea relajarse, acceder a la cultura local o asistir a un rodeo, disfrute de una amplia y elegante habitación y el servicio más cordial de la ciudad. 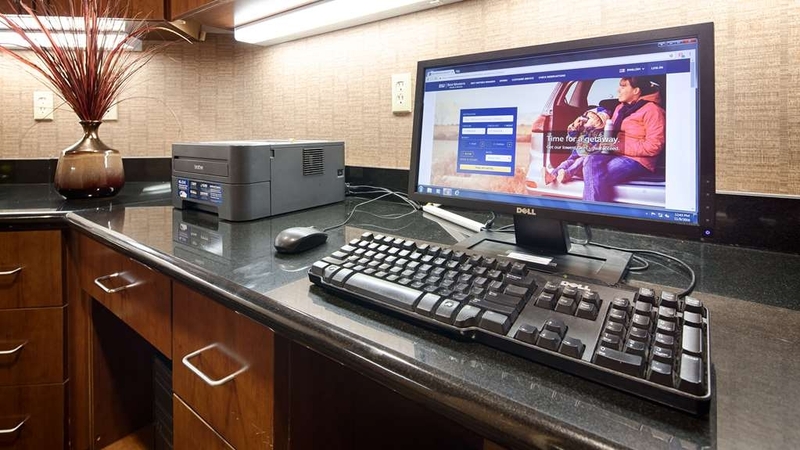 Este hotel Best Western® de St. Francisville es el único de la ciudad perteneciente a una gran cadena y los huéspedes cuentan con nosotros para recibir el nivel que calidad y servicio que esperan encontrar durante su viaje. Las plantaciones rodean la zona y los recorridos históricos son una de las principales actividades para muchos de nuestros huéspedes. Los torneos de béisbol celebrados durante el verano atraen a un gran número de visitantes, mientras que el evento Audubon Pilgrimage cuenta con la presencia de numerosos habitantes locales y viajeros procedentes de todo el país. El río Mississippi es un imán para los amantes de las actividades al aire libre y muchos viajeros de negocios. Entre los huéspedes habituales de nuestro hotel de Saint Francisville se incluyen los empleados de Entergy, KPAC Papermill, las plantas energéticas y nucleares locales y numerosos trabajadores gubernamentales y militares. Aquí podrá encontrar una sala de juntas con aforo para entre 8 y 10 personas para su mayor comodidad. Estaremos encantadosde ayudarle a preparar su próxima reunión. Nuestro personal hará todo lo que esté en su mano para proporcionarle una estancia lo más fácil y agradable posible. Este hotel exclusivamente para no fumadores de Saint Francisville goza de una fantástica ubicación junto a restaurantes, empresas, plantaciones y la autopista 61. Entre nuestras instalaciones se incluyen un gimnasio y un centro de negocios, lo que le permitirá dedicarse a sus ejercicios o a sus actividades de negocios directamente después de disfrutar de un merecido descanso en su amplia habitación. Aquí podrá disfrutar también de un desayuno caliente continental gratuito con gofres, tocino, huevos, fruta, yogur, cereales, pasteles, jugos y café 100% Arabica. Reserve una de las apacibles habitaciones del Best Western® St. Francisville Hotel hoy mismo y prepárese para disfrutar de un fantástico viaje. The gym is adequate. Breakfast is good. Rooms are clean, spacious, And Well supplied. Staff is very friendly and helpful. Cost is budget friendly. There are two different restaurant options directly across the street as well as a CVS on the corner. This Best Western was very nice and clean. Breakfast was good and they kept it stocked. The location is great. Easy to find, easy to get to. Rooms were very quiet. There is a grocery store right next door so you can pick up anything you need. The town is just precious. "Best Rest and Relaxation Spot!" Stayed here 2 nights for meeting , did not think I would enoy it so much, The comfty Beds & Pillows almost made me oversleep!, The Hotel Staff is amazing and friendly, Housekeeping excellent at what they do, but the clean, Safe environment is the key and The Continental Breakfast had so many delicious options it was hard to choose, so I took some of everything! Luv this Best Western! Checked in at 5:30 p.m. and hotel is obviously not full - 1 request: I would like a room overlooking the parking lot because my dogs will be in the truck overnight. Three story hotel and you cannot accomodate a simple request for a Gold Member? We went to St Francesville for some RandR to enjoy some plantation life from the past. Stayed at the Best Western for the night. One of the best hotel chain we have been to . It was well worth the visit and will probably go back again some time in the future. I was on my way to South Louisiana to work and was running late when I stopped at the Louisiana Tourist Center, I love St, Francisville and had not visited there in quite some time. I am a former teacher and had often taken class trips to that area to introduce my students to Southern Plantation Living of A Long Ago Age. The two ladies at the travel center were delightful and helpful and told me about a new restaurant in town that was just across the road from a wonderful Best Western St. Francisville Hotel. I decided to stay the night and am so glad I did. The Hotel was wonderful! It was a perfect stay and in such a good location. The hotel felt so safe and service was excellent. There is ample parking and plenty of lighting around the hotel. It sits just next door to a wonderful food market which you must visit, as it sells everything Louisiana and more! It is within walking distance if you wish to walk. I did that but the grocery store was so good, I had to return for my car to load the groceries I needed to take home to my Overflow Lodge, in Arkansas. I asked if the store was owned by the same people as the Hotel, but it is not. I would certainly return for a longer stay at Best Western St. Francisville Hotel. There is much to see in that area for a wonderful stay of three or more days at a reasonable price. A week after checked out of the hotel, they charged me $75 for a pillow and accused me of stealing it. I travel about twice a month and stay at many hotels. The last thing I want is a pillow from a hotel. One thing is for sure, this will be last visit at this place. Obviously, they have an integrity issue. Hello, We appreciate you taking a moment to review your recent stay at our property. We not only strive to provide exceptional customer service and clean comfortable lodging accommodations but all of our staff is known to provide efficient upstanding service to all of our customers. Integrity has never been an issue for neither my staff nor I. We appreciate all of our guest and value our business relationship. At anytime a guest is charged incidental charges for any reason pertaining to damages or missing items, a thorough report and investigation is done prior to actually charging any fees. Rooms are inspected daily prior to guest checking in and inspected after checkout prior to rooms being cleaned and once they are cleaned. Once again we do appreciate your business and wish that your stay would have ended on better terms. "Impressed, Great CSR and Breakfast"
Very friendly staffs. Breakfast selection is not elaberated but fresh enough. Room is clean enough as far as I can see. Some minor corners seem a bit dusty, but not a bit concern. For an area like this, this hotel does stand out for quality. The room is near the road side, so in the morning, around 5:30am you can start to hear car running through the highway. Hello, Thank you for taking a moment to leave a review on your recent stay at our property. We are pleased to hear that your stay went well. 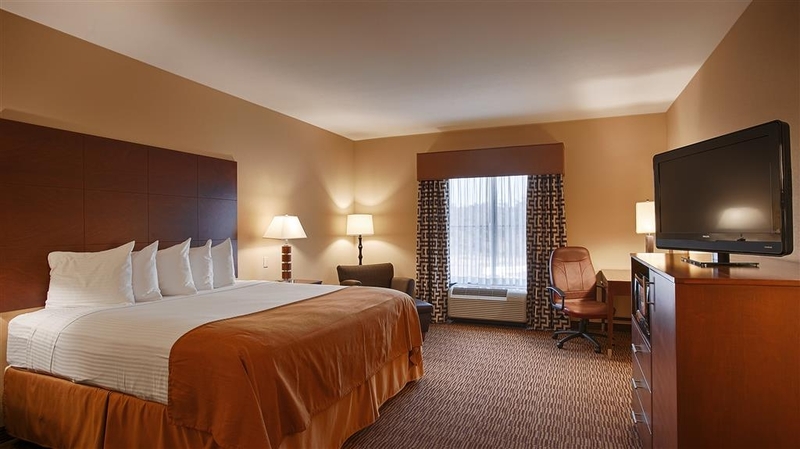 We strive to provide exceptional customer service and clean comfortable accommodations while visiting our lovely town. We hope that you will consider staying with us again! Really nice place to stay. Just wanted to get away for a day and it was perfect. The facility was well kept and there were no major updates needed. I was just getting away for a day and it was the perfect place for a cozy getaway. Hello, Thank you for taking a moment to leave a review on your recent stay with us. We are pleased to hear that your stay went exceptionally well. We appreciate your business and hope to see you again. "Nice Hotel in St. Francisville"
We stayed here for one night. Check in was easy and the lady at the front desk was polite. The room was clean and the temperature could be set by a thermostat. The bed was comfortable. The included breakfast was very good. I recommend this hotel. Hello, Thank you so much for staying with us! We appreciate your business and hope to see you again. Convenient location to town. Room was clean and comfortable. The breakfast was good with several selections. Staff was very friendly and helpful. My room was on the highway side of the hotel and at times big truck noise was noticeable. Next time I'll request a room farther away from the highway. Hello, Thank you for staying with us. We are pleased to hear that your stay went exceptionally well and that you would consider staying with us again. We appreciate your business. Excellent as usual. Travelling around the world I have seldom found a BW hotel that I would not recommend or return too. Excellent management everytime..I look forward to my next trip throughout the northwest next year. Hello, Thank you for taking a moment to give feedback on your recent stay at our property. We are pleased to hear that your stay was excellent as usual! We appreciate your business and loyalty to the Best Western brand. Until we see you again, safe travels! This location is one of the best. The staff there are always helpful friendly and smiling. The entire crew welcome you like your family and put forth the effort to help in any way they can. They have treated me and my family with great respect and helpful information of where to dine and tour. "Recommended if you need to book a block of rooms." I reserved a block of rooms for an upcoming event. Everything has been handled perfectly and seamlessly. The manager and everyone I have worked with at the front desk have been knowledgeable and professional. I will definitely go to them again for my next event. 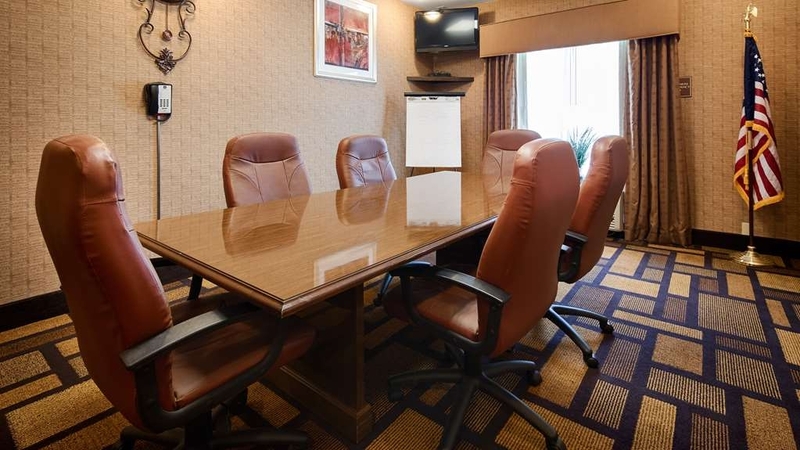 Also, hotel is conveniently located near lots of amenities, easy to find, ample parking. I would definitely recommend this location to everyone. We had a wonderful stay. The rooms were clean and the breakfast was decent. The staff was friendly and we plan to return and stay at this hotel. Hello, Thank you for taking a moment to review your recent stay with us. We are pleased to hear that your mother-daughter trip started with a bang with an exceptional stay at our property. We take pride in not only our property but also with providing all of our guest with excellent customer service. Your business is greatly appreciated and we hope to see you again! The positive first...the hotel is located across from a great restaurant, the parking lot is well lit, and the outside appearance is well maintained. The ugly...we were given the key to room 118. A quick room look over revealed an adult bed bug waiting for its prey on the side of one of the mattresses. My husband asked me to get the manager to "show and tell". The manager was very polite and offered us another room. Begrudgingly we decided to give it another try, especially being on the road for 10 hrs. We were given the key to room 317. A quick check of the premises revealed...yep...juvenile bed bugs collectively waiting behind the headboard. That sealed the deal for us....Bye Felicia! **Please be diligent when checking the room (check headboards, behind picture frames, and mattress seams) ** Just a side note, the manager refunded our money without complaint. Hello, Thank you for taking a moment to give feedback on your stay with us. On behalf of my entire staff, I sincerely apologize that you experienced this at our property. We strive daily to maintain a clean property by not only having a well trained housekeeping staff but also monthly pest inspection/control. Unfortunately "bedbugs" are a very common hotel pest that sometimes literally slip through the cracks! We are thankful that you brought this to our attention because obviously it was missed during our inspection. Because of these findings we have followed protocol to make sure these rooms and nearby rooms are free of any pest. We thank you for considering our property and hope to have an opportunity to provide the accommodations you deserve in the future. Room was very nice, clean, and comfortable. Breakfast was good and service was great. It was quiet and staff were pleasant. Parking was well lit and there were nearby conveniences such as grocery, restaurants and gas. Hello, Thank you for taking a moment to give us feedback on your recent stay. We are pleased to hear your stay went exceptionally well! Our daily goal is to provide a clean, comfortable, and safe environment for all of our guest for all of our guest to enjoy. We appreciate your business and hope to see you again. 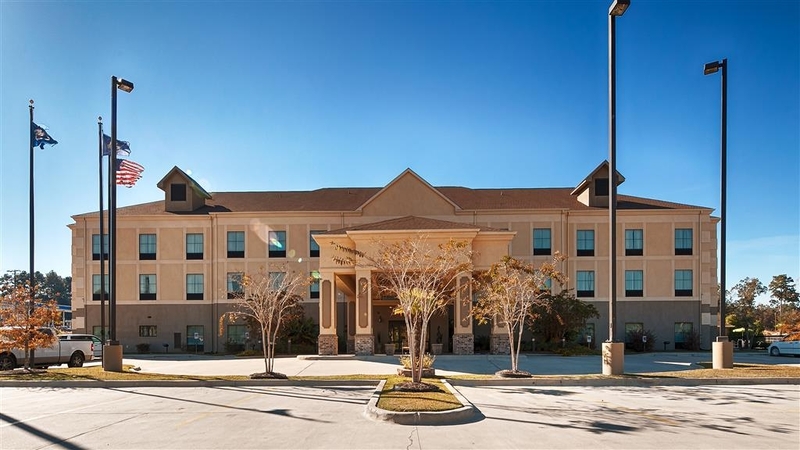 We had the pleasure of staying at this Best Western in St. Francisville, LA. 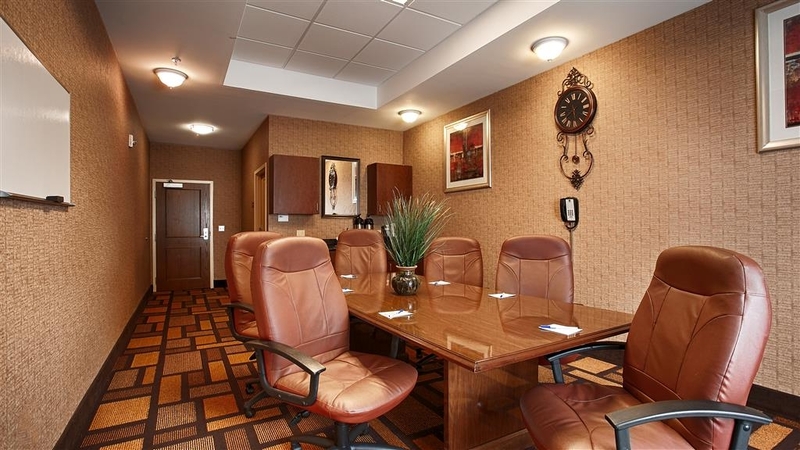 This hotel is newer, very clean, friendly staff, & conveniently located. Nice supermarket next door, gas station, Pizza Hut carry out, Sonic & a McDonald's within walking distance. The room was large, clean and had comfortable beds. At this time, I'd recommend this hotel and give it an excellent rating. Hello, Thank you for taking a moment to review your recent stay with us. We are so pleased to hear that your stay was exceptionally well. We strive very hard to provide not only clean, comfortable accommodations but also friendly, efficient customer service to all of our guest. We appreciate your business and look forward to seeing you again! Hello, Thank you for taking a moment to review your recent stay at our property. On behalf of my entire staff I would first like to apologize for you having to experience that. We do don't allow kids to be dropped off to swim nor do we advise parents to let their children swim unattended. That is a common problem that all hotels experience, especially during the summer. Any persons known to be trespassing on our property will be asked to leave first, then the proper authorities will be notified if they do not cooperate. With the above referenced incident that protocol was followed and the situation was handled. We appreciate your business and value your opinion on our services. Hopefully we will have another opportunity to provide you with the exceptional service that you deserve and that we work very hard to deliver to all of our guest. "Another day on the road"
This is a really nice motel. Clean right on the main road. Theirs a food store right next door and several places to eat like with in a block. Theirs a pizza hut right across the street, fuel stop vet, and more with in walking distance. The rooms are big, really clean quite A/C system. Lots of Hot water big bath room nice tall ceilings. For being on the main Hwy it's really quite. Staff here are really more than wanting to help you on stay, home away from home. Enjoy your stay, I know I will. Till next stop. I Look for the BW brand now when ever we travel. This hotel was up to the standards of many of the others we have stayed at. But the staff was not as friendly as most of the others we have stayed at in the last few weeks. They could do better. One note, this visit was around the time of First Lady Barbara Bush's death and they had the flag out front at full staff. Only complaint we had with this hotel. "Best Western best hotel in St. Francisville, LA"
Our stay was a great experience. The hotel had our group rooms ready when we arrived, the rooms were very clean, the beds were some of the most comfortable we've found in any hotels where we stayed. Breakfast was very good and everything was fresh. The breakfast area is a little small but it is very clean and well maintained by staff. "The best place to stay around St. Francisville." This is the place you want to stay if you are visiting the St. Francisville area. It is clean, very convenient and a friendly staff. I often work in the area and have stayed everywhere available and this is my first choice. Spent 2 nights at the BW when we were passing through the area between Natchez, MS and NOLA. St. Francisville is a great community with several plantations in the area to visit. We stayed at BW after a previous trip 5 years earlier. The hotel staff members are very pleasant and helpful with dining recommendations. The hotel was comfortable, the room was clean,and we felt it was a value for our money. The breakfast area attendant was extremely busy with construction workers and spring break travelers. She did an awesome job keeping the food coming and keeping the breakfast area clean. Hello, Thank you so much for taking a moment to give feedback on your recent stay at our property. 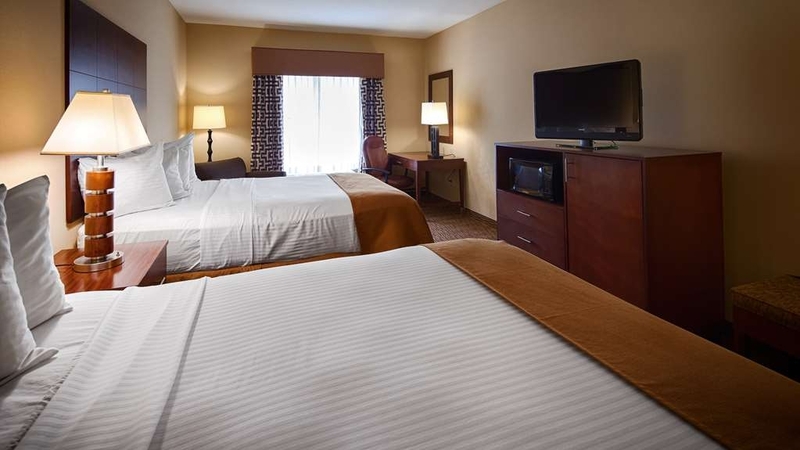 We strive daily to make sure our accommodations are clean, comfortable and safe, so we are pleased to hear that your stay went exceptionally well. We appreciate your business and hope to see you again soon. "Weekend at the Audubon Pilgrimage in St. Francisville"
Every March, the awesome town of St. Francisville puts on a show with Southern Homes, old plantation homes, gardens, and local folks dressed in period ware that is a definite to visit and enjoy. It runs from a Friday morning through Sunday afternoon on the designated weekend. Must See. The hotel is a perfect venue to enjoy all the beauty, restaurants, entertainment and sites. It is clean, well run, hospitable, and fairly priced. Breakfast is every morning from 6:30 - 9:30 with plenty to eat. Staff is very friendly and the owners are on site, approachable, and will assist with just about anything to make your stay comfortable and pleasant! Good property in town! Clean hotel, no personality, bad linen, lots of synthetic odours. The kind of hotel you go because choices are limited, not the kind where you would spend your vacations not even few days. Rooms are spacious and clean, but the linen and the pillows are not very comfy. Strong odours of cleaners, enough to get headache. Stayed overnight during business trip. Clean, comfortable, and quiet. Full breakfast available in lobby. Microwave, coffee maker, and minifridge in room. Good location on main highway through town. No room service but near lots of fast food and restaurant options. Huge room. Bedding fresh, room tidy, Plenty of towels and toiletries provided. Front desk staff friendly and knowledgeable. Good choice for a quick overnight business trip. "Wedding trip for a friend"
Check in was quick and easy which was the 1st easy thing about the trip. The room was adequate and the beds comfortable. Cleanliness, especially along the wall and floors, was lacking. The bathroom floor next to the tub was nasty with fuzz and dirt and the same was true of the floor underneath the vanity. A pair of socks fell behind the drawer of the bottom drawer, requiring us to pull the drawer out...YUCK! the stuff there besides dust was filthy and having to kneel on the floor yielded less than a pleasant experience when seeing other foodstuff under the other furniture.. The breakfast was free but after looking, we went down the street instead. We did enjoy spending time with friends gathered from all over the US for the wedding but were shushed by the desk clerk until we threatened to be noisy until the elevator was fixed...the elevator only when it wasn't really busy! AND the clerk was able to get it to work again. I would not choose this establishment again unless it were a life and death need to be there. I stayed at this hotel for a few nights while in the area for work. It was perfect. 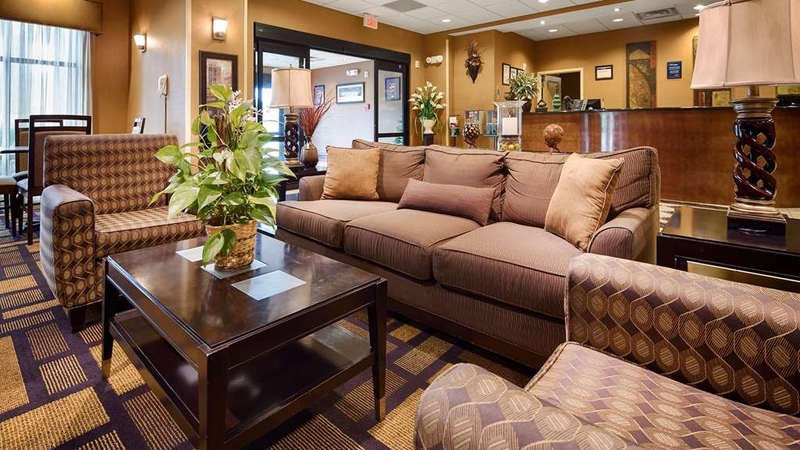 The hotel is clean and comfortable, the location is convenient, and the people working at the hotel are great. I did have a little trouble with the wifi, but nothing major. "Bathroom unclean and after two tries still dirty"
Clean with friendly, helpful staff - especially Rick! Have stayed several nights each month for the past year and have been treated like family. Located close to good restaurant and grocery store within walking distance. This Best Western was very convenient for us for our son's wedding at nearby Hemingbough. Rooms were clean and quiet. Staff was attentive and friendly. Breakfast was ok - could've used more options and better coffee. All in all, a good place to stay in St. Francisville. Worked out well for our group. I brought my parents and nephew into town for the Prison Rodeo. We were wanting to find a place to stay in St. Francisville so we wouldn't have far to drive after the rodeo was over. This hotel is the only decent-looking hotel I could find when googling and we were so hoping it would be okay. I am so glad I made reservations here. It was a very nice hotel, very clean, and the staff was extremely nice. We plan to come back to the rodeo next year and will definitely try to get room here. You have to book early since it fills up quickly. "Only Hotel That Comes To Mind"
I stay at this hotel once a month but have been after it first was built in the city and it has still maintained the same level of service and cleanliness. When I travel to St. Francisville once a month, no other hotel comes to mind. The staff are all friendly, the rooms are clean, and if there is ever any issue they never are disgruntled about helping you at all. Love it. Afraid this review amounts to nothing more than repetition. We had a comfortable 2-night stay in this hotel reminiscent of a Holiday Inn Express by design. So, if you're tired of climbing stairs at the local antebellum B&B's with creaky floors, sitting on old furniture, sleeping in narrow high canopied beds and paying half a king's ransom, this 6-year old place will fill the bill without breaking the bank. The king rooms are well equipped with refrigerator, microwave, flat-screened TV, work desk ( 3 plug ins for chargers etc), 2 comfortable chairs. 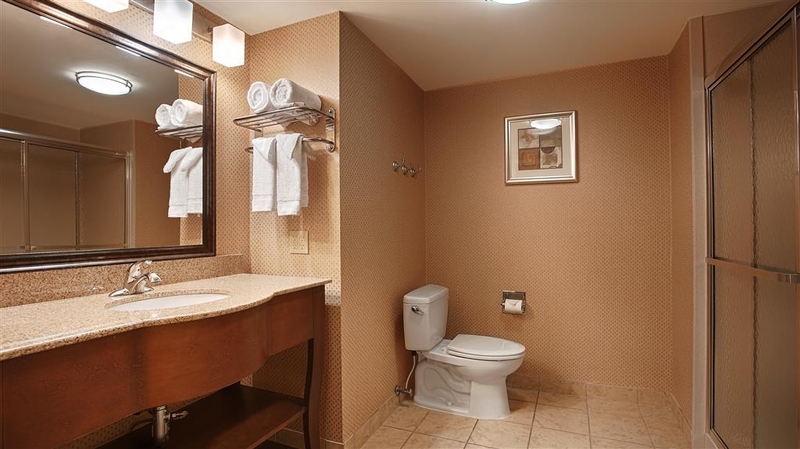 As mentioned numerous times already, the bathrooms are large with walk-in shower. Rooms also have a padded luggage bench. Breakfast is pretty generic for this price of stay and includes the paper-thin crisp bacon, dry scrambled eggs & link sausage. Boiled eggs were also offered as was gravy but didn't see the biscuits. The coffee was weak. The breads, muffins, fruit & cereals were what you'd expect. 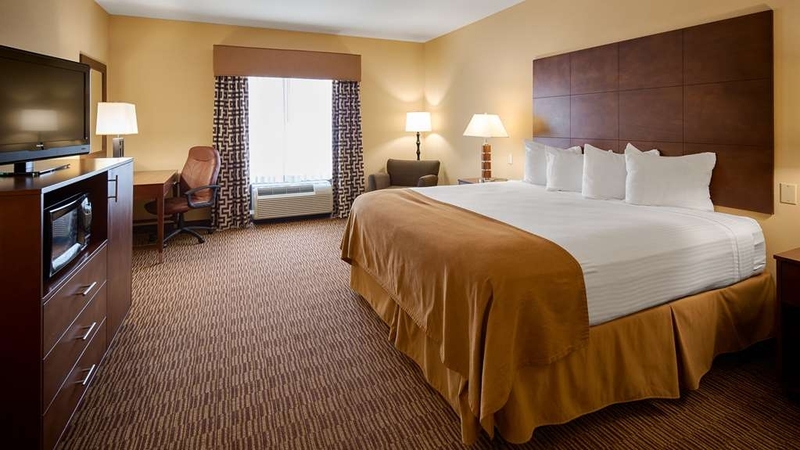 Best Western is usually the best choice in St. Francisville. The Hotel Francisville is something out of a horror movie. Our most recent stay, however, was disappointing with cockroaches and mold in our BW hotel room. I am tempted to get a UV light for my hotel stays as the sheets did not smell that clean. The choice at this point is to stay at a B&B or in Baton Rouge and commute. I'd check the room b/f accepting it. Hopefully, BW will improve as it is normally a great place to stay and on of the best in St. Francisville. "If in St. Francisville, stay here." Clean, comfortable, friendly place to stay. This the best option for staying in the Saint Francisville area. Very easy access from Highway 61. A good restaurant is across the street and a nice grocery store is adjacent. This was a great place to stay The rooms were very clean and comfortable. The breakfast was great. The hotel was very clean. The staff was very friendly and helpful. The only problem is there are not good parking place if you have a trailer without taking up several parking space. Very nice property. Louisiana taxes inflated the cost.. That was really the only negative on the trip. Overall the stay at the hotel was good. I believe that the tourist industry could do a better job in seeing to it that travelers are not penalized by excessive taxes. Stayed three nights on a business trip. Room was clean,large and quiet. Breakfast was good. Staff was very friendly. BBQ place across the street is very good also. Will definitely stay again on a future trip. This is a nice hotel with a great breakfast. The rooms are large and clean and neat. There is a great restaurant across the street. There is plenty of parking. The employees are friendly. Rooms have a desk and large bathroom with walk in shower which is large. I would stay here again. Wouldn't stay again even if it was free. It was ridiculous that the problem be resolved or at least compensated for. If a small child had been in that room there was potential of a real disaster. The fact that one room was fine but two others were not shows that management needs to seriously step up their game. This was a wonderful hotel--and so reasonable. Probably best Best Western ever! Staff so friendly and helpful. Room so very nice. Breakfast was absolutely delicious and not only hot, but so many options! Be sure to visit the historic district and beautiful plantations! Love this place! We travel to st. Francisville a few times a year to visit family and as not to intrude on their homes, the Best Western is best place to stay. We love the breakfast and the location! It's located close to everything. Fourth visit to this hotel and the sty is consistently good. Clean rooms, quiet floors, ample breakfast, pleasant staff; I couldn't ask for better value or service. Looking forward to returning again. "good hotel with average service"
When we arrived, there was noone at the desk and we rang the bell for service and it was at least 5 minutes before someone showed up to check us in. I've never had that happen before. The bed was so high off the ground that it was hard to get into bed. The mattress also sank in a little making it where my spouse and I could feel each others movements, especially if one of us had to get up. The room was very nice though and had lots of room to move around and store luggage. The walk in shower was very nice and the temperature and pressure of the water was excellent. At breakfast the omelets were delicious. It was a nice addition to breakfast after staying in hotels for 2 weeks and having much the same choices every day. Very comfortable, friendly, had everything we needed!! We were in town visiting friends and we loved this stay. The breakfast had way more than most breakfasts do. The rooms were spacious and the beds were very cozy. Friendly staff, very clean. Best Western is in a great location. This is my 3rd stay here and will definitely stay here in the future. 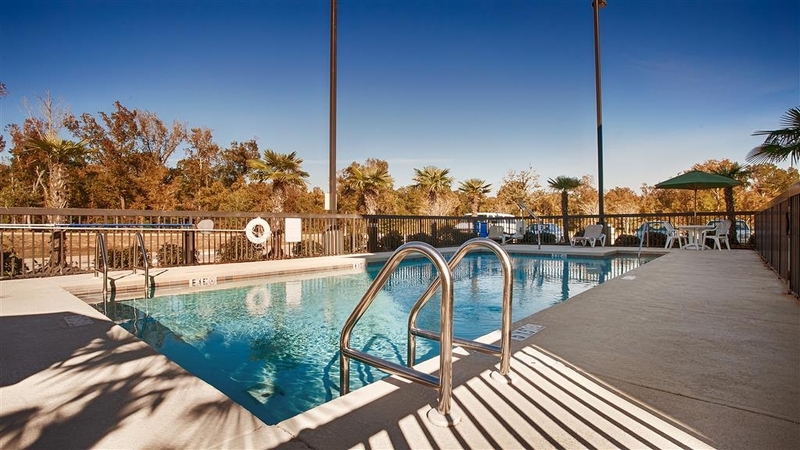 They have a nice clean outdoor pool and are located across from a great restaurant. Very Nice place to stay for long term ! Very friendly and supportive staff. Clean and nice Hotel overall. Cleaning service is very attentive and rooms are cleaned nicely . My company stays here quite often and have always been very satisfied. Overall experience with this best western good .Stayed there before on another plantation road trip.Newer hotel. Good eats across street. (FRANCIS) several plantations close by that are worth going to ,including the Audubon. Fairly new hotel, nicely kept. Breakfast was marginal. Room was clean and modern. Internet worked fine. Really liked the roomy walk-in shower. Bed was comfortable and room was quiet. Didn't hear traffic even though the hotel is close to the highway. Hotel looked (and is) new. It showed. Wonderful amenities. Friendly staff. Breakfast was top of the line. Close to Rosedown Plantation, and very close to historic downtown. We loved our stay there. Will stay there again if we are that way. Low on hotel staff, we were with a group and couldn't give us an early check in due to lack of cleaning staff, hotel common areas dirty. Could not give us 2 extra pillows. Elevators were filthy. Pillows were horrible. Accommodations were average. Television inoperable, moved to another room. Other room's door latch inoperable. The facility smelled musty but that very well be nothing more than the climate in South Louisiana. The facility was pretty nice. Looked to be fairly new. Everything worked in our room. We booked a rollaway and was surprised to see final bill of $20 per night. Definitely not worth that! I would most likely stay there again though. Hello, Thank you for being our guest! Your business is greatly appreciated. We appreciate you taking a moment to give feedback on your recent stay with us. We are very pleased to hear that your stay went exceptionally well and hope to see you again. This BW is well-located right on the edge of town, close to a number of restaurants. The room was comfortable, clean, and reasonably priced. We've had problems in the past with BW locations since check in can be 3 or 4 PM. Here, it was 3. We arrived about noon. They were able to get us into a room in about 10 minutes. Breakfast was bleh. Lots of choices, all of them grim, especially since this is the south, where breakfast is a big deal. No biggie - we found a close by restaurant and ate there. The other issue was pillows - lots of them, all of them flat. Odd. Otherwise, this is a great choice. "Great place to stay!! EXCELLENT!!" We were in town for a baseball tournament for my gsons. The location to the park and local restraunts, grocery stores, gas stations, etc. was EXCELLENT!! Rooms were spacious, very clean and well maintained. Beds and pillows were plentiful and really comfortable. We would absolutely stay there again with no hesitation. Hello, Thank you for taking a moment to give feedback on your recent stay with us! We are so pleased to hear that your stay was exceptionally well, and hope to see you again if ever visiting our beautiful town. We appreciate your business and hope to see you soon. 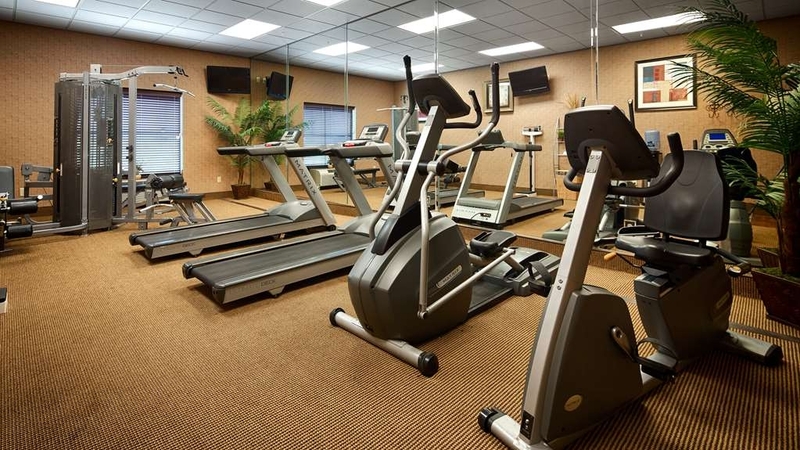 "Best Hotel in Saint Francisville"
Great location in Saint Francisville. Convenient to nearby sights--plantation homes, gardens, shopping. Clean, quiet, comfortable rooms. A good breakfast with a wide selection of food. Friendly, helpful staff. I so appreciate this hotel. 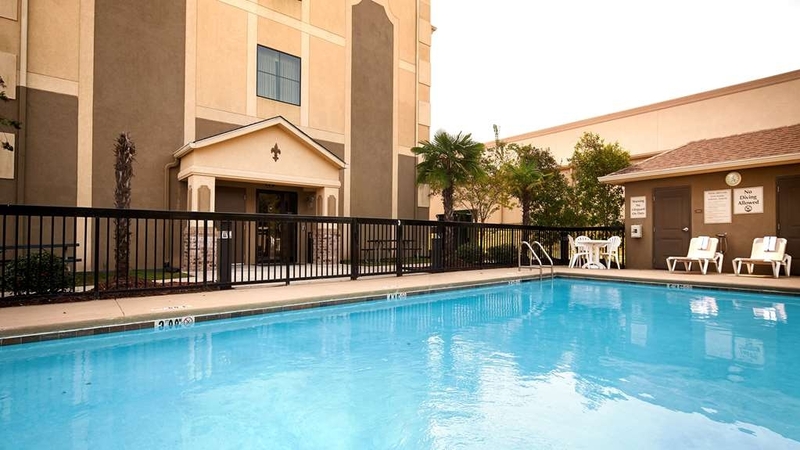 It is near to good restaurants and other area amenities. My stay in St. Francisville was extremely pleasant and I would not hesitate to come here again. it's also wonderful to have breakfast included. In room internet was very helpful, but appreciated that I could use a printer for guests to print out an important document. Everything was thought of...made the stay of my group very pleasant. Overall, great experience and close to local attractions. Very clean room and comfortable bed. Hotel staff are very friendly and helpful. We booked reservations for 2 rooms but our friends could not make it the first night and they were accommodating not charging us for that night even though we did not cancel until arrival evening. As always, I thoroughly enjoyed my stay at this hotel and look forward to when I come back again on next month (if a room is available). 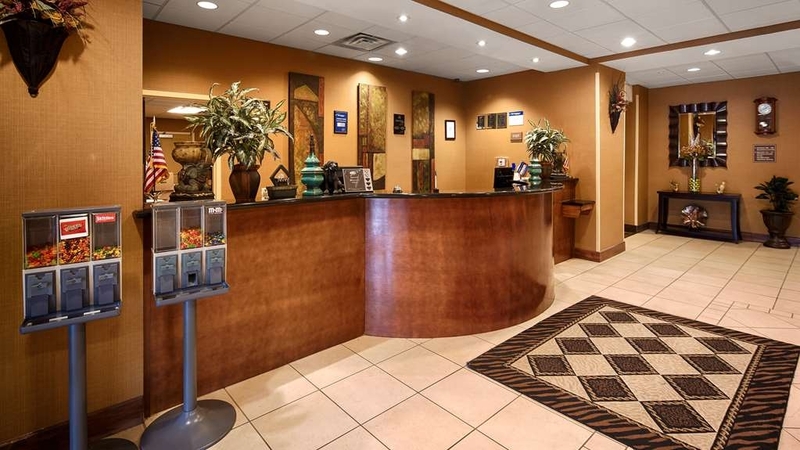 The hotel staff is friendly, the overall appearance of the hotel both on the outside and inside is very clean and there is little to no loud noise throughout the day or night even while resting near a busy highway. No complaints here. Hello, Thank you for taking a moment to give feedback on your recent experience with us. We deeply appreciate your kind words and as always appreciate your business. We strive to provide all of our guest with superior customer service and a positive memorable experience, so its a wonderful feeling to know that your experience is exceptional. As always we look forward to seeing you again. I stayed here the past week on my business travels. The hotel was conveniently located very close to our client. However, they only let us stayed two nights due to some overbooked bs. I won't accept that. What we do for communities in the places we go is unnoticed and goes without thanks. Everyone should get in their knees and show us more for our services. We help maintain your electricity, you miserable sots! I won't suffer this inslolence any longer(fist pounding the bar table) Anyways, there is a decent restaurant located across the highway and they have hot waittresses. I'm done here. Boom! "Stayed for LSU game, book early"
We had a queen double and the room was comfy and we enjoyed our stay. we had the breakfast, so nice go down and have a real hearty breakfast which consisted of a meat, eggs, potato casserole, pastries, biscuits, fruit, yogurt, milk and cereals and juices. Oatmeal and grits were available, as was sausage gravy. The make them yourself pancakes and waffles were really good. The breakfast staff that Sunday morning was great, the woman preparing all the food was very efficient and did a good job. The hotel staff was very helpful, when we needed extra towels it was seen to and our room was prepared in a timely manner. There is a high scale grocery store right next to the hotel and we enjoyed walking next door for snacks. There are a few close by restaurants across the street. We walked there but be careful of the 4 lane highway, there is a stop light right by the hotel but the city really needs to put in a crosswalk with a button to push to gain walkway across the street. Excellent hotel. Staff was very friendly and helpful. Very clean. We would recommend this hotel to all of our friends and family. This hotel made us feel like we were at our own home. The room service staff would come around everyday to clean the rooms very well. Very nice breakfast every morning. The reason for our stay at this hotel was because my home flooded. We had to move out of the house while it was being remodeled. We were so fortunate that we didn't have to travel so far to find somewhere to stay. This was the best choice ever. There aren't many options in this area. Everything about the hotel was fine. The price was a bit high but given there are so few choices I understand why. The only real complaint was the bed. The service is excellent the rest is what you expect from a BW. The staff was friendly and outgoing. The room was clean and the bed was comfortable. The breakfast that was included was warm and delicious - eggs, waffles, pancakes, ham, sausage, potatoes, fruit, yogurt and more. This is a relatively new motel located in downtown St. Francisville. It is near a few good restaurants. It is modern decor and is easy access in and out. The motel staff is friendly and helpful. Has a decent breakfast in the mornings. Stayed here for one night. Nice hotel with easy access on and off highway 61. Room was very nice but would have preferred coffee machine being located out of the bathroom. Staff was friendly. Ok continental breakfast. Eggs were cold when we ate at 9 am. Breakfast is over at 9:30 so might have been hotter earlier. Hello, We appreciate you for taking a moment to give a review about your stay with us. We are pleased to hear that you enjoyed your stay and everything was conveniently located for you. Our ultimate goal is to provide excellent customer service and a memorable experience for every guest. We do apologize for the areas that were not so satisfying but we will do our best to improve. Thank you, for your business. 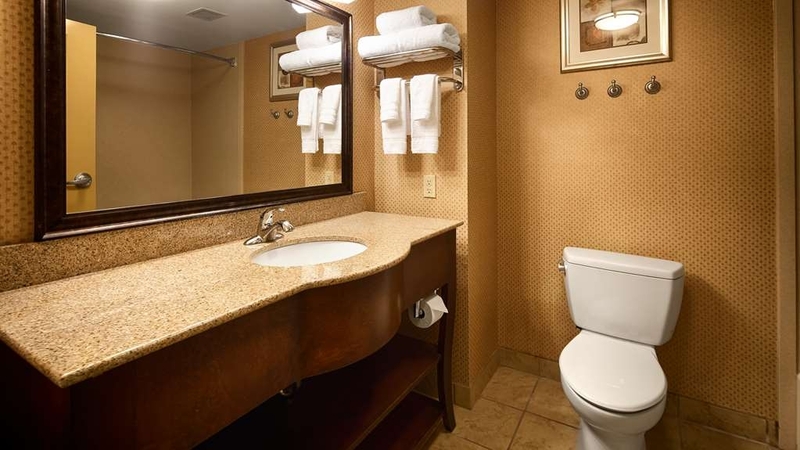 "Nice and easy access to the hotel"
The hotel is located at the entrance to city St Francisville at the HWY 61. The check in was fast and easy. The hotel is a typical business hotel for people working in this area. Restaurants are close to the hotel. I stayed here for nearly a month while working in the area. It is a typical Best Western. Beds and pillows are very comfortable.There was a microwave & frig. Unfortunately this hotel fails on maid service. I only asked for service every few days since I was staying for an extended period. When I had maid service it was a disappointment - she didn't vacumn, clean the toilet or leave new paper tablets or pen. Also the laundry area didn't seem to be cleaned - everytime I used it it was dirty. The breakfast was a little skimpy and not very hot. Didn't seem that servering tray for the warm items was working. The waitress in the food area was very nice and worked very hard. Front desk staff was great. Location was good for me. Elevator was broken three times during my month stay. Compared to what I've seen, it's the nicest place in town. Rooms are clean and comfortable. 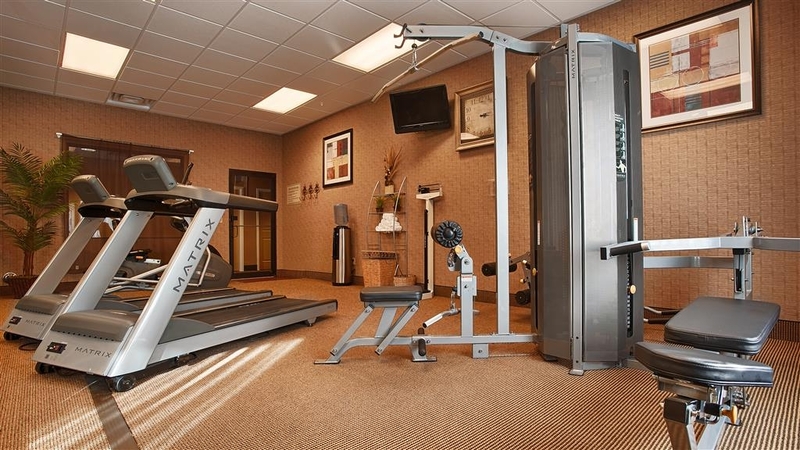 Nice fitness center. Good pool. Nice grocery store right next door. Negatives: no hot tub, breakfast was late everyday. Elevator was broke down 3 of my 5 day stay and I was on the 3rd floor. All the restaurants are m the other side of a busy 4-lane road with no crosswalks. "Excellent hotel with very limited choices!" The staff & other occupants were very friendly. Our rooms were excellent and very clean. We enjoyed our night with comfy beds. The breakfast was a typical included meal with the area to eat in very clean & well stocked. Would stay at this nice location again when I am in this area! We visited the Rosedown plantation & ate dinner at the restaurant across the street. Delicious! Nice hotel very near the center of town. Easy to get to and also an easy drive to the historic areas of St Francisville and nearby plantations. Also, the included breakfast at this hotel was great! Far beyond what I expected. They have make your own waffles and pancakes! We enjoyed our stay. This hotel is a great value. 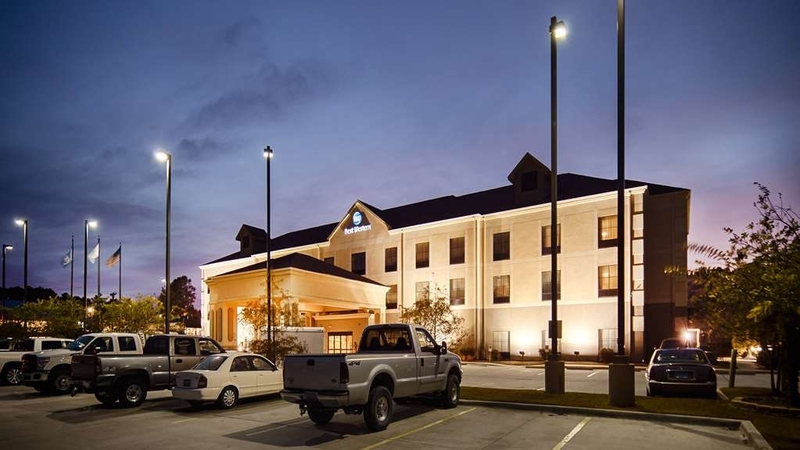 "Best Western St Francisville get an A+"
The rooms were very comfortable and the service was wonderful. Everyone was extremely helpful in every way. The location was also very easy to access. I would absolutely stay again at this hotel. The breakfast bar was very neat and had very good food. This was a plus to be able to eat free in the hotel. "1st Best Western visit - good experience"
This was my first ever visit to a Best Western and I was pleasantly surprised. The hotel looks new. Check in was very smooth and easy. The lobby was neat and clean and up to date. Our room was spacious for 3 people with 2 beds and an adequate sized bathroom. The free breakfast wasn't very good. The hot choices were few and didn't taste very good but the eating area was very clean and orderly. This hotel is across the street from a great restaurant The Francis. Overall we had a good stay at this Best Western. "Dirty bathroom floor and bugs in bathroom"
Not even 0.5 stars! Room was ok, but bed pillows lumpy. Bathroom floor was sticky and dirty. Maid came in to clean the room for second day stay, removed towels and moved coffee carafe to the bathroom counter and never came back. Had to call at 5pm to have someone come back to finish cleaning room. Bugs flying around bathroom where they were more prevalent, but did find one in main bedroom. My family loved this hotel. It was so clean and new, and the rooms were great. The staff was friendly and my family thought the breakfast was the best hotel breakfast they ever had. We'll be back. This is a hidden gem. It'd been a year since I last stayed at this hotel and returning a year later it was still great. Very clean, helpful and professional staff, and great price! Only issue I ran into was the tub stopper would not stay open while I attempted to utilize the shower. I had to reach down and lift it myself at times to avoid the water pooling in the tub. I did not have time to report it though before I left but had I done it I'm sure they would have resolved it for me by offering another room. I travel to this area once a month and no other hotel comes to mind. I will def be back! It'd been a year since I last needed to travel in this area and upon returning it was the first hotel I thought of and it did not disappoint. Still very clean, still very welcoming and helpful staff, internet still pretty fast and room was excellent. Only issue I had was my tub stopper would not stay up when the shower was running. I had to keep doing it myself. I did not have time to report it before I left though. Other than that, I would and will def be back again! Highly recommend. 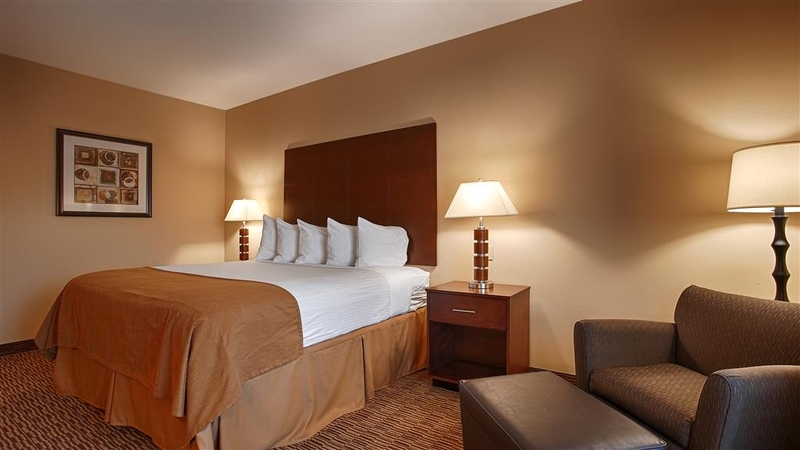 "Nice staff and great facilities"
The rooms were above average and the guy at the front desk was polite and helpful. The exercise room was well equipped and air conditioned. Parking was easy and there were food options close by. Great stay. St Francisville is a beautiful place to visit. I love old things but I like to sleep and bathe in things a bit more modern. 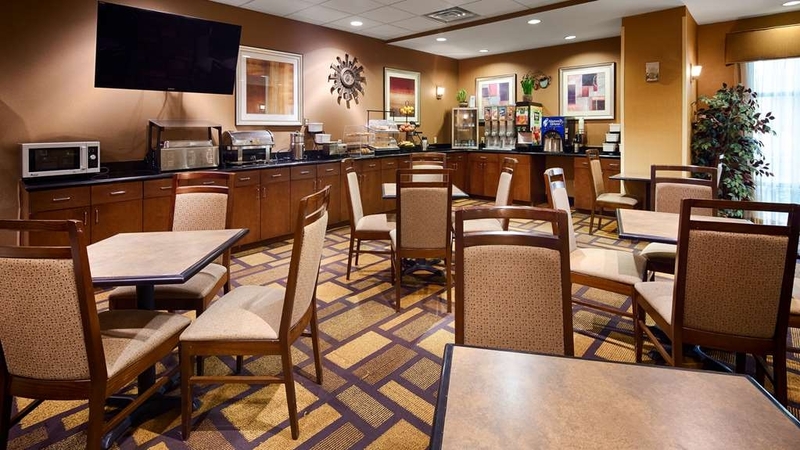 The best western is not the ritz by any means but compared to other accommodations of the area it is the most modern, clean, free breakfast and conveniently located next to the new market and across the street from the Francis restaurant and bar. Right off the highway makes it easy to find and access. Air conditioning rattled, was offered another room, however, there were four women in our party and it was too much trouble to move. Was told it would be looked at by the end of the day, it wasn't. Lobby floors were extremely dirty, did not think they were swept the whole time we were there coffee spills were on the floor. Overheard other guests complaining about bugs in their room. Breakfast was nice enough. "A family and school reunion week"
Well, folks the front desk is one awesome staff I ever communicated with. Ethan and I enjoyed our week here at the hotel. We swam and enjoyed the fitness room. I did it once my son did it twice and my daughter did it once. I swam the most. I just love the sun and pool time. They have gas stains across the street a Mexican restaurant, the Franis (big one), the Franis smokehouse (the little one next to it). The sonic, church chicken and McDonald's on that same side but little further down from Exxon gas station we ate at them all except church chicken, The Francis and Francis smokehouse. We didn't go the the big the Francis. We didn't have time to try that place out. I hope this helps y'all. There is a kayak place to do as well as walking/biking trails to see a waterfall off Anglos road (hwy 66) I think is called. You can find the kayak place in the blue binder they provide in the rooms. This place is quite and friendly. You will enjoy your stay. This hotel is clean, quiet and comfy. The bed is the best! The front desk Staff is friendly. There are restaurants within walking distance. Great place to stay. Free breakfast and reasonable rates. Would stay there again. Don't miss this gem. Hotel is an older hotel but is in nice condition. I would stay again. Hotel was clean. Bed extremely comfortable. One of oldest towns in Lousianna. Suggest visit to Rosedown Plantation about 3 miles away. Top notch supermarket adjacent to hotel. I would stay again at this hotel. We felt good about booking with BW because it had a good rating. The ratings have proven correct. Our room is clean and the beds are comfy. Each bed had 4 pillows and clean, crisp linens. There is a microwave, a certified clean remote and flat screen TV. The fridge didn't seem to be working. There is a decent size bench for suitcases. There is a wall thermostat to control the room temperature. The bathroom had a good size vanity to accommodate toiletries for our family of four. However, there were only 3 towels. I see this too often and I don't understand why a room with 2 queen beds would be shorted a bath towel. We are also happy that there is a laundry room on the main floor to get some laundry done on our long road trip. All this for around $100/night, a great value for travelers on a budget. We recommend this BW. Hello, On behalf of our entire team at the Best Western Hotel of St Francisville, we would like to thank you for staying with us during your recent visit to the St.Francisville area. We are pleased to hear that your expectations were exceeded and hope that you will choose us again for your future lodging needs. Your business is greatly appreciated! clean, quiet. Two good restaurants just accross the street (mexican and Smokehouse) however, you need to go by car as crossing the street by foot is too dangerous. Supermarket just next to the hotel. Microwave in the room. "Usual BW standard. Some nice touches and some needing improvement." Modern 3 level hotel on the highway. Enjoyed the room and the quality TV picture. Several healthy breakfast choices....mixed fruit and plain yogurt. Unfortunately they did not have all choices available the second morning. Our room had some lighting issues which were corrected. Did not appreciate the cleaning of the foyer floor with strong chemicals whilst I was having breakfast. Also noticed the swimming pool had algae on the sides. Overall though I would stay here again. Hello, Thank you for taking a moment to give feedback on your recent stay with us. We acknowledge and correct any issues under our control to make sure your stay is pleasant and worry free. We do apologize that you were not completely satisfied with your stay and hope that we will have a chance to provide exceptional accommodations in the near future. 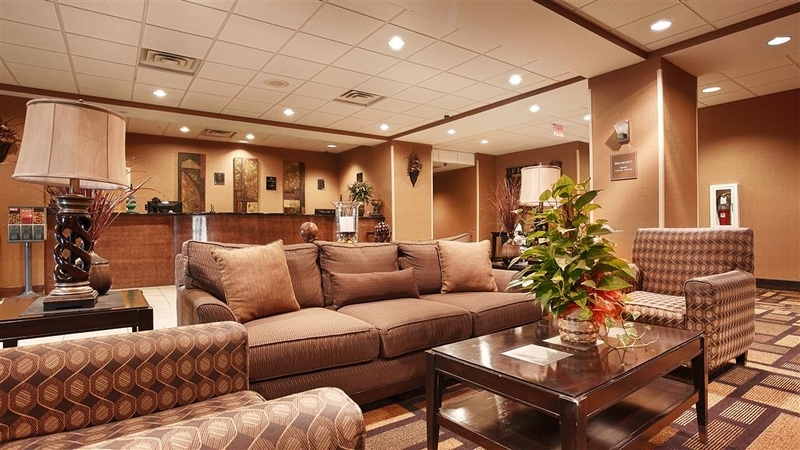 "Nicest Best Western I ever stayed in! Best breakfast on my trip!" I used to travel a lot and stayed in Best Western hotels across the south--this one was by far the nicest Best Western I ever stayed in and their breakfast was the best, most gourmet of all the hotels my family stayed in between Missouri and Pensecola, Fl! I would highly reccommend this Best Western hotel!!! Also, there is a great pizza place not far away called Sonny's Pizza. "Enjoyable stay in St. Francisville"
My wife and I were attending an event at Angola Prison. We enjoyed our 2 night stay. The staff was friendly and helpful. Our room was clean and quiet.The breakfast area is a bit small. We will be staying at this Best Western again. Hello, We are thankful you decided to stay with us while visiting the Angola Prison. Your feedback is important to us and we appreciate your kind words. Our entire staff works hard to provide great customer service and a safe, clean place for you to stay while visiting our town. Thank you for your business and we hope to see you back soon. Best Western always has the most comfortable beds and pillows. I never want to get out of bed. Always clean rooms and lobbies, etc. Breakfast was awesome. My only complaint was that there was no tub. When I go on a getaway, I like to relax in a hot tub. Clean comfortable rooms. Good location. Friendly staff. Breakfast was good. Would stay here again. Pool and exercise room was a nice bonus. I will be booking another room the next time I'm in town visiting. Hi, Thank you so much for your kind feedback. We are more than pleased to know that your stay with us was a pleasant one. We look forward to seeing you again and thank you again for your business. "Huge Reward in a Small Town"
Best Western was great from the rooms to the staff. The rooms were very clean. The breakfast was good. Huge variety of things to eat. They pointed us to a great restaurant in New Roads for dinner were the food was SUPERB!!!! We stayed here three years ago and this time our stay was just as good as the first. So glad to see that the quality is still there- clean, comfortable, and helpful staff. The breakfast was good and plentiful. This is where we will stay when we're in St.Francisville. "Great place with one small exception. " We just left the best Western in St. Francisville. What a nice new hotel in a great little town. My only suggestion for improvement would be to buy some decent paper plates for breakfast. Currently they're putting out a flimsy, cheap paper plate and it's all you can do to get your breakfast to the table. Other than that small thing I'd recommend it highly. "Modern, clean and very comfortable"
The hotel was very good, with modern finishes, and was very comfortable and spacious. The hotel is next to the Audobon Market, so very convienient for stocking up on supplies. Also close to restaurants. "Good place for a short stay." Played Golf at The Bluffs.....The Best Western was a excellent place to stay. The price was right, the rooms very clean, close to the Bluffs, Folk at the Hotel were very nice. We will make another trip to the Bluffs this year and The Best Western will be the place to stay. Wonderful hotel! Super clean, comfortable bed and room, great breakfast, kind staff, perfect location, inexpensive. We could not have been happier! Just wish we could have stayed the week instead of just one night! Super quiet, too! Oh, and fabulous restaurant right across the street!!! This hotel offers an excellent product for the money.It is not a luxury property but it is first class. We especially appreciated the pool and the included breakfast. The hotel is clean and the staff is helpful and friendly. I think that it is an especially good place for families. Reserved online and had no problems. fast and easy check in March 22 2016. Was given room 323. King room very clean and everything looked new. Bed was pillow-top and five great pillows, we slept like a baby. The room had a nice fridge, microwave and coffee maker. Asked for an extra blanket and towel for my wife and it was no problem. I know it is not listed as a BW plus but it should be. Great place to stay and this is a true review. Thank you BW Saint Francisville we had a great time. Wonderful town with some great places to eat... i miss the po-boys. No worries staying here folks, they will treat you right. One of the best Best Westerns I've stayed. From check-in to check-out, everything was great – and even before I arrived. I booked this hotel for a wedding and booked an extra day on the front end and forgot. The night I was scheduled to arrive (and didn't) the hotel placed a courtesy call to me inquiring if I was still planning to arrive a day early. I felt horrible, but the lady on the phone was quite gracious and fixed everything for me without a no-show fee. Then the day of the wedding I drove strait in to the wedding, not checking in until 11:00 that night. I called the front desk on my drive in and the gentleman made a note of my late arrival making my check-in process very smooth. The rooms were VERY clean and the breakfast had a number of selections and was fresh. If I ever need to stay in St Francisville again, I will certainly use this hotel. This is a very nice hotel for a very good price, just love staying here when I'm in town. The breakfast is great and the staff are very friendly and the cleanliness of the rooms are amazing. I highly recommend this hotel. This hotel was exceptional in an area of few choices. Would be nice if they did a couple of pet friendly rooms for dogs under 30lbs. I'm very picky about smells and and cleanliness and this hotel has very high standards of cleanliness. The room was very nice. Everything with the exception of the Breakfast area was good. The Breakfast Area was very small and wouldn't seat everyone. My family had to eat in the room because there were not tables available in the 7:30 AM time frame. Thoroughly enjoyed our overall experience. We were part of attendees to a wedding and the lobby and restaurant area accomodations were great for large groups such as ours. Staff was exceptionally friendly. "A Gem of a Place to Stay at a Reasonable Rate"
My room was lovely and the entire staff were terrific! If I have any complaint, it would be with the pillows. However, that seems to be par for the course today with most hotels. I was able to pick one out of the several that was firm enough to suit me. Was pleasantly surprised with the quality of this hotel. It was very comfortable, clean, brightly decorated with eye soothing colors. The king is a very large room. The hotel looked new. The only draw back was that there was no tub, only a shower. The complimentary breakfast was pretty much standard,very adequate. Friendly staff. The staff does an amazing job here of keeping the rooms looking new. For rural Louisiana, this property was a bit more costly than you might expect, but the staff was very nice and obviously on top of their game. Another place nearby offered free dinner with their rooms, for less money. I didn't check them out but was pleased with my choice and ate instead at a wonderful Lebanese restaurant a mile or two into town. Very pleased with this nice, clean, comfortable hotel with staff that go out of their way to please. Reasonable rate for quality of room, beds, furniture, linens. Very quiet all night long. Especially good hot breakfast included and plenty of free parking. Always hot water, plus all room amenities we needed, good wifi. Easy highway access. No complaints at all. Stayed here after visiting Houmas House in am and Rosedown Plantation in pm. Large room, fair price. Pillows hard and sheets were clean but worn and rough. Room well equipped with iron, microwave and small refrigerator. Good breakfast. We enjoyed our stay at the Best Western, St Francisville. The rooms were very large and the beds most comfortable! very handy location on the main road and having the supermarket located right next store was also a bonus. Would recommend this as a place for other travellers. Great place to stay,clean,good breakfast ,close to Francis Restarunt, staff are very nice,it's quite, rooms very nice,free wifi .want a great place to vacation or visit and sight see.a lots of stores close by to shop. "Very nice place at a reasonable price"
Stayed there for a consulting job I had with a nearby Entergy plant. The hotel is very close to where I had to work, the staff was very friendly, and it was a clean, attractive hotel. Breakfast was most welcome with many options. The rooms were clean warm and quite. Our check in was quick. The breakfast was very good and substantial the next morning. Beds were comfortable. We all slept really well. The hotel was convenient to the plantations we visited and to downtown. As an aside the magnolia cafe in town had great shrimp po-boys. We are planing a trip back to see more plantation and the state park/historic site. Great hotel and town. Clean and comfortable. Newer hotel. Rooms spacious. Just a little disappointed in room shampoo. Very consistent with the chain hotel. Breakfast consisted of eggs, sausage, eggs, waffles, juices, coffee, teas, rolls and cereals. I stay at this location quite a bit on business and I have never once encountered any problems with the hotel or the staff. From breakfast to bed, everything is always great! I couldn't ask for a better place to stay at when I am away from home for weeks at a time! I always feel like family when I stay here! Booked 2 nights on busy weekend to attend the prison rodeo. Hotel grounds are nice. Plenty of well lit parking. Check in was a breeze. Room was large with chair and ottoman for sitting, desk, fridge, microwave, flat screen tv with many cable choices. Comp. wifi but it did not work very good. Nice pool area with picnic tables, ate breakfast out there. Breakfast was your typical buffet with many options and well stocked. Loved the large, comfy bed. Pillows a bit full for my liking but worked. Price was right. Lovely town worth exploring. Stores and dining options close by. Would recommend and stay again. We only stayed one night as we were heading to the LSU/South Carolina game. They were booked for the rest of the weekend. It was pleasant. No problems at all. Clean rooms. Nice staff. Definitely will stay again! This is a very nice place to stay. It has what you need at the hotel and around the hotel. The staff is very friendly here. The overall stay was very pleasant. We are recent land owners of this town and we miss it. "New place- great stay "
This seems like a new place (Sept 2015), so everything is new and clean. The only criticism would be that I could hear fellow patrons through the walls. I think the walls are thinner than normal. The staff was acceptable but not outstanding. One of the better places in town. "In town for cousins wedding"
Do not stay here, staff falsely accuse you of damaging items in the room in order to charge your card for additional fees. I was charged for the price of my hotel room and a additional $150.. Called the hotel to inquire of the charge and was told the sheets on the bed was messed up. There was nothing wrong with the sheets when we left the room. The clerk advised there was nothing he could do and I needed to call back and speak with the manager. Enjoyed our brief stay. Room was very clean. Bed was comfy. Breakfast was as good as u could expect for a BW.....powdered eggs, hash browns, sausage/bacon, waffles, fruit, cereal, pastries, juice/milk. Will stay again due to cleanliness. I'd stay every time I go back! Very nice room, very clean and spacious. Definitely the coldest AC I've ever had in a hotel room! Made snuggling in the very comfortable bed even better! 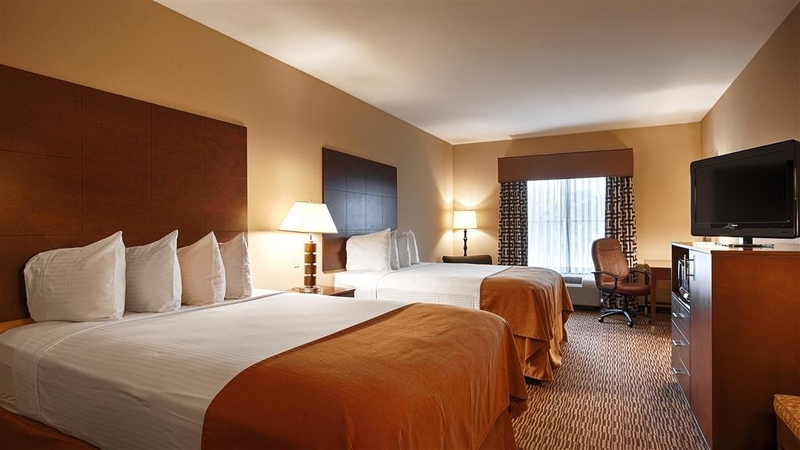 The hotel is convenient to the historic district and downtown.